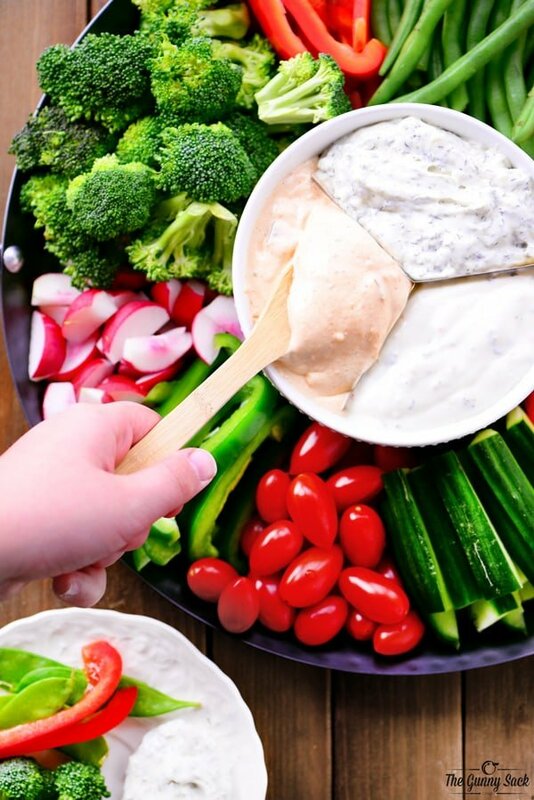 This Holiday Veggie Tray is a healthy appetizer with fresh, crunchy veggies and cool creamy dip that’s sure to make people happy at your next holiday party or potluck! Sponsored by Marzetti Veggie Dips. You all know how much I love sweets and I’m guessing a lot of you are just like me and love them too. But the closer we get to Christmas, the less I crave desserts. At holiday party after holiday party, there are trays and tables full of goodies. I find myself skipping them and heading right for the savory choices. In past years, I’ve noticed that when I bring a tray of freshly cut vegetables, they disappear in a hurry! Not only is a holiday veggie tray a popular appetizer, I love how easy it is to bring vegetables and dip to parties. 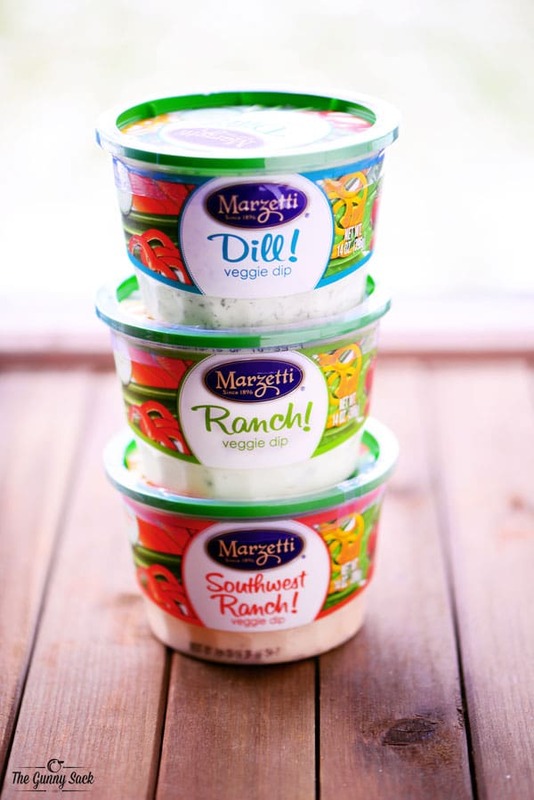 Marzetti® Veggie Dips are the perfect thing to pick up at the grocery store when buying the fresh veggies. 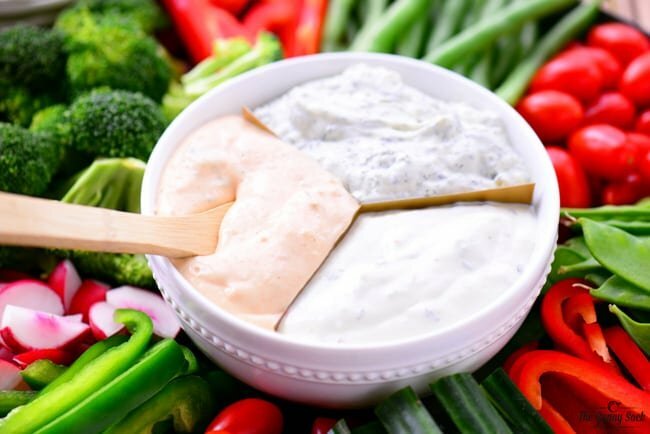 Marzetti has so many great choices of veggie dips with savory blends of flavors. 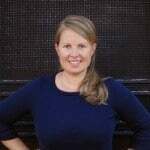 I bought Marzetti Dill Veggie Dip, Marzetti Ranch Veggie Dip, and Marzetti Southwest Ranch Veggie Dip. I wanted to be able to serve the three different flavors of Marzetti veggie dip in the center of the platter, but I don’t have a divided bowl. So, I made my own using a disposable plastic plate cut into two half circles with slits in the center so that they fit together. 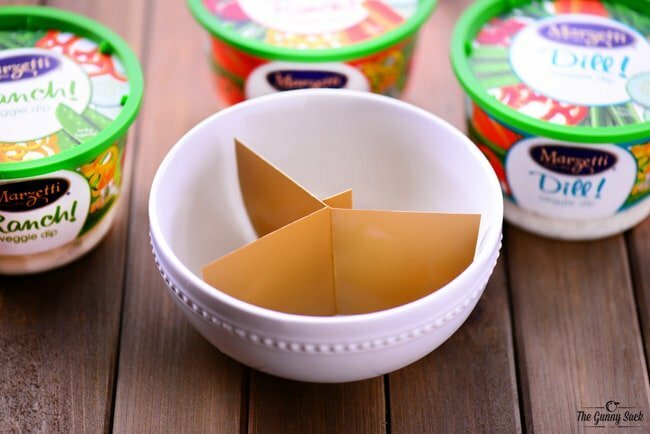 Spoon the Marzetti Veggie Dips into the three compartments of the divided bowl. Surround the filled bowl with fresh red and green veggies for a holiday feel. My veggie tray includes grape tomatoes, green peppers, radishes, broccoli, red peppers, green beans, snow peas, and cucumbers. 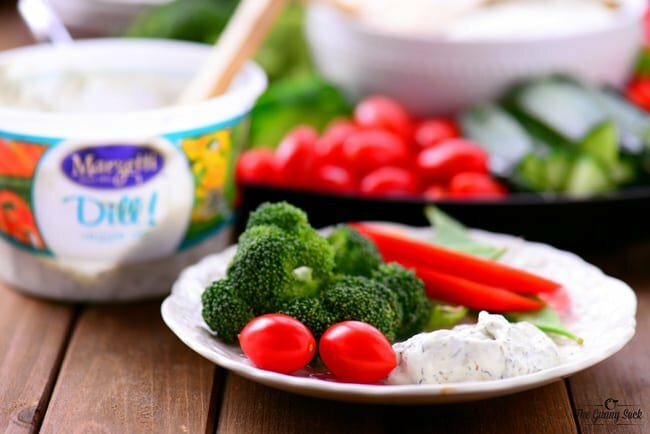 These fresh, crunchy veggies with cool creamy dip are sure to make people happy at your next holiday party. 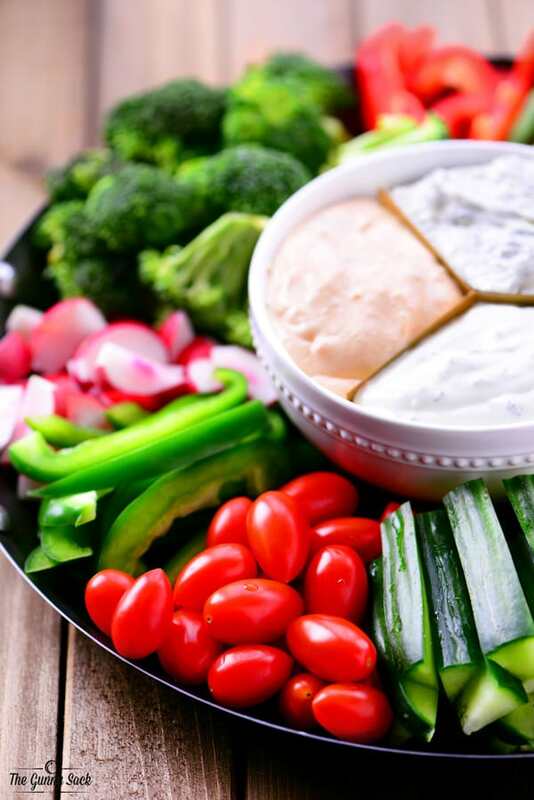 This healthy appetizer will be welcomed by both kids and adults and the holiday veggie tray looks gorgeous on the serving table. This is a sponsored conversation written by me on behalf of Marzetti Veggie Dips. The opinions and text are all mine.